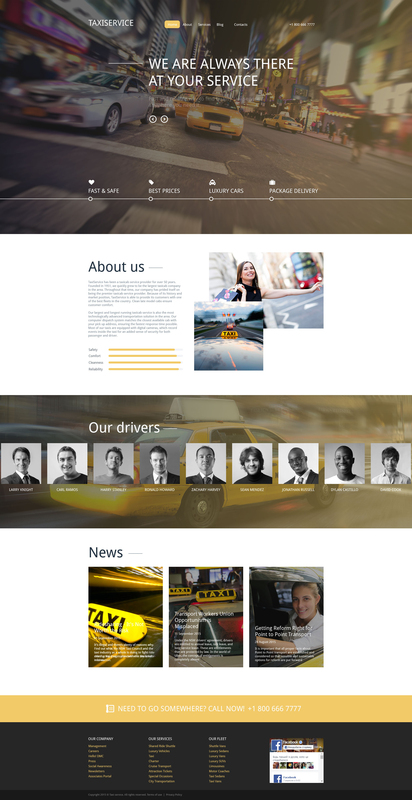 Build an attractive site for your business with the help of this taxi Drupal template. It boasts a clean and minimal design with a full screen header image.The theme looks both simple and stylish without any unnecessary elements at all. With its help you will be able to create a professional site for online business, quickly and easily. The theme comes loaded with a variety of tools and visual effects like parallax, lazy load, selectable galleries, and an assortment of other features. A fully responsive design allows the theme to automatically adapt to any possible screen resolution. Great template store. Fast response in chat, Nice recommendations for templates.